iCloud sync for iMessage introduced in iOS 11.4 takes care of this problem by changing the way iMessage sync is handled. Instead of using the flawed Continuity mechanism, iOS 11.4 now stores iMessages in iCloud. The messages are automatically synchronized across all enrolled devices on the user’s Apple ID. iCloud sync works similar to existing synchronizations such as iCloud Keychain, iCloud Photo Library or iCloud contacts. Apple protects iMessages with a strong protection mechanism much like the one that is used to protect the iCloud Keychain. iMessage synchronization only works for accounts with Two-Factor Authentication; messages are exchanged exclusively between devices enrolled into the trusted circle. The messages are securely encrypted with a key that is encrypted with devices’ lock screen password. Apple officially states they don’t have access to that encryption key and cannot decrypt iMessages stored in iCloud, even for GDPR requests. According to Apple (https://support.apple.com/en-us/HT208502), “your messages are encrypted on your device and can’t be accessed by anyone without your device passcode”. This may not be entirely true, as we discuss in a separate article. 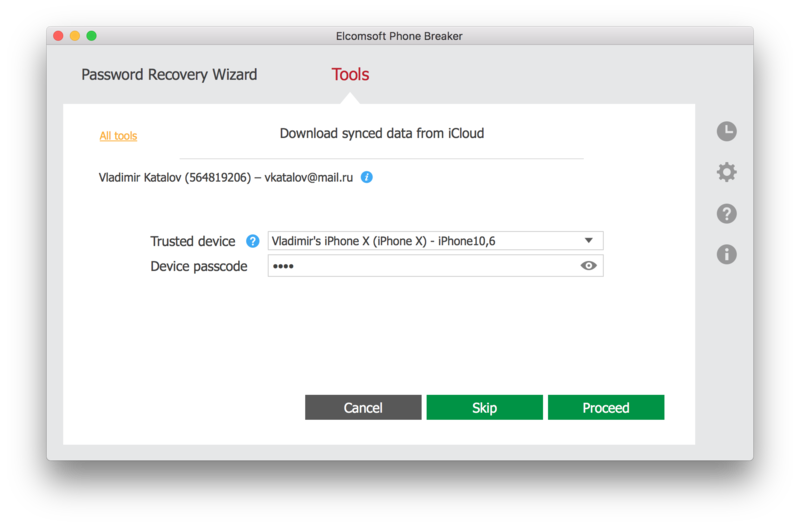 The iCloud synchronization mechanism is separate from and works in addition to iCloud system backups. 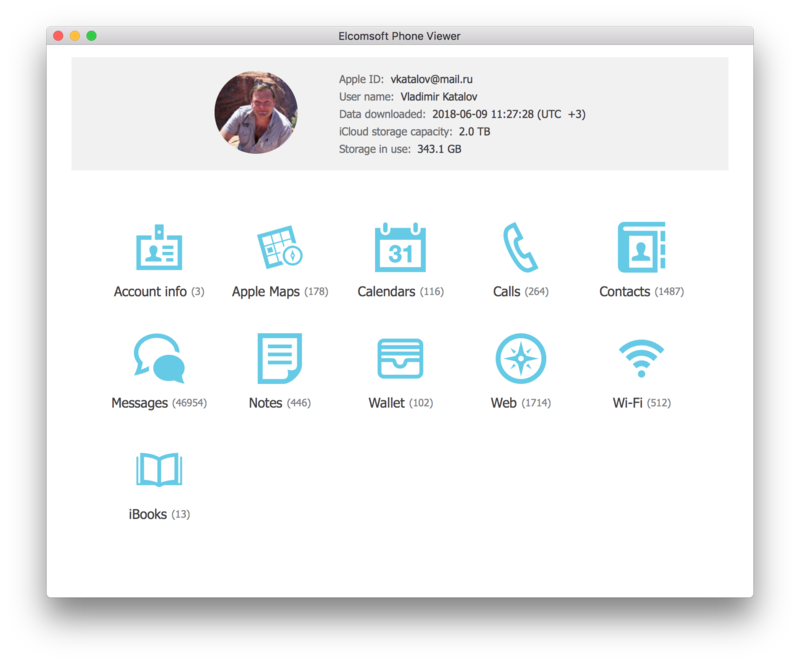 Unlike daily iCloud backups, synchronization happens near instantly. If the device has an Internet connection, information is updated with little or no delay. This enables near real-time remote access to iMessages sent and received by the user. In order to access iMessages, one must enroll a new device into the trusted circle. Enrolling a new device or accessing iMessages from iCloud requires experts to provide a lock screen passcode (iOS devices) or system password (macOS computers). Let’s have a look at the process. 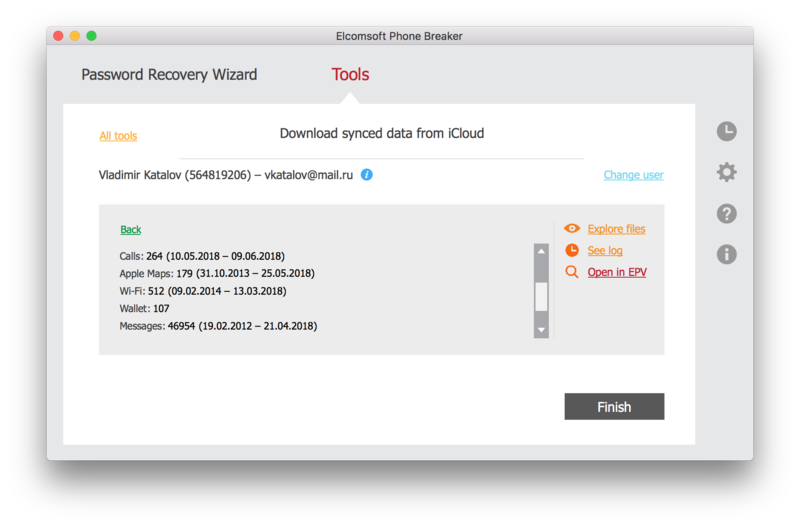 In order to extract iMessages from iCloud, you will need Elcomsoft Phone Breaker 8.30 or newer. Use the following steps to access messages. Select data to obtain from iCloud. Make sure the “Messages” box is selected. 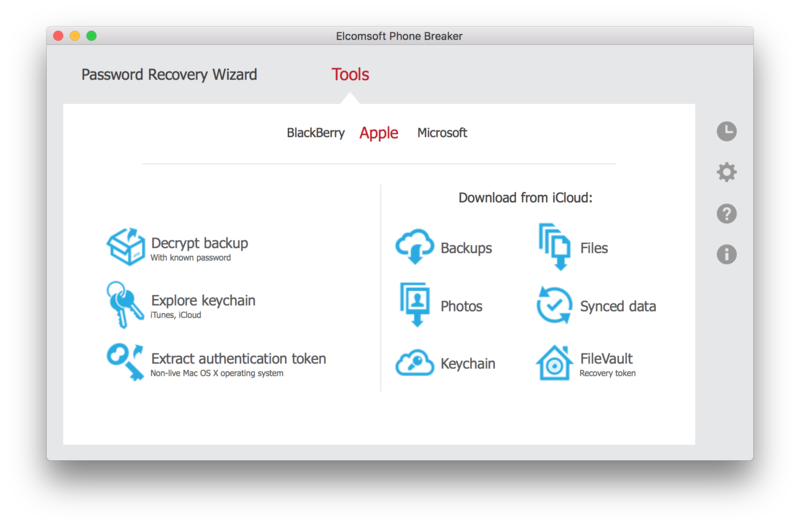 Elcomsoft Phone Breaker will sign in to the user’s Apple account. Select a trusted devices to which you know the passcode or system password, and type in the passcode/password. You can now use Elcomsoft Phone Viewer to analyze downloaded messages. At this time, the iMessage sync is not entirely stable due to the way Apple implemented the syncing. 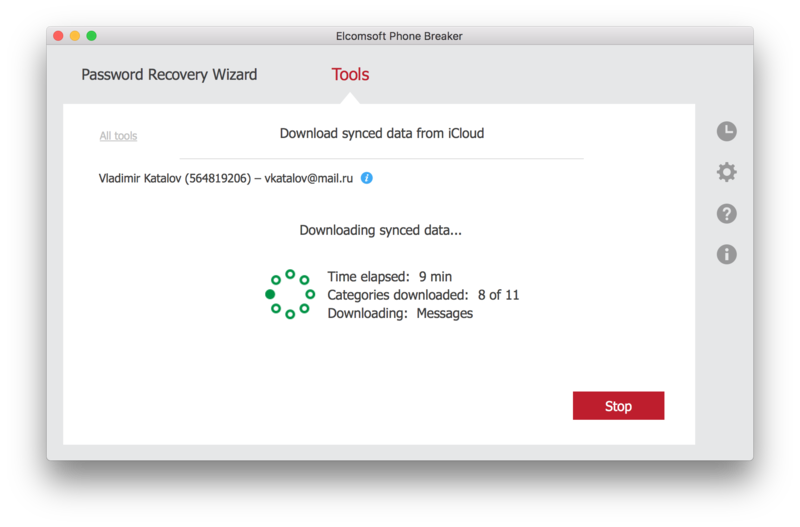 The message synchronization mechanism is very similar to iCloud Keychain. While iMessage sync and iCloud Keychain are two separate services, disabling iCloud Keychain effectively prevents messages from syncing. In addition, while iCloud Keychain can work with or without Two-Factor Authentication, messages will only sync if 2FA is enabled. This entry was posted on Thursday, June 14th, 2018 at 10:55 am	and is filed under Elcom-News, Software. You can follow any responses to this entry through the RSS 2.0 feed. Both comments and pings are currently closed.